Every new sign up with GSC - Hong Leong Credit Cards will get 5 entries. Every RM50 spent will get 1 entry. 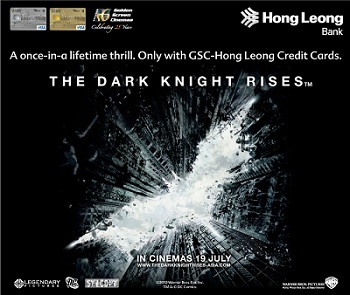 Visit GSC-Hong Leong credit cards promotion page for more details. Click play on this video, if you can't watch it as you load, you need UniFi!